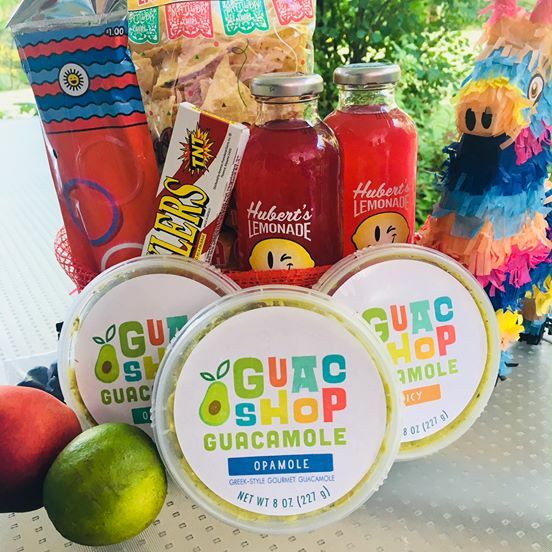 DELIVERY | DELIVERY – Guac Shop – Nacho Average Guac! We have partnered with Dilemma Delivery for corporate meetings, events and home delivery. There is no minimum. Delivery time is typically 30-45 within a 3 mile radius of Franklin Park Mall. Delivery is available anywhere in Toledo and the surrounding area. Call or text for a quote outside of the 3 mile radius - 419-367-7510. $3.00 within a 3 mile radius of Franklin Park Mall. If outside of the 3 mile radius, call or text for a quote 419-367-7510. Best Guacamole I’ve ever had. My 10 year old even loves it and she never eats Guacamole. The best Guacamole around town! Love this little shop in the mall! The owner is amazing and sweet! Please go support her! Some of the best Guac in the area. I would definitely give the Opamole a try. Enjoyed the Opamole, very good and fresh! Definitely try them. This guacamole is fabulous. Loved the opamole. Even our picky 12 yr old loved the guac!! We will be back to buy more! The best guacamole I've ever tasted by far, plus so many different flavors to choose from.